Profile: DataCom's Data Center expert, John Lewis, planned, designed, and provided logistics for the voice/data infrastructure move of Citizen's Data Center from Plano, Texas to Rochester, New York. The new Data Center facility in Rochester has at least seven layers of security in place and redundant connections to the Internet. It also has two independent power sources, and two backup generators with 25,000 gallons of diesel fuel, along with hundreds of batteries. 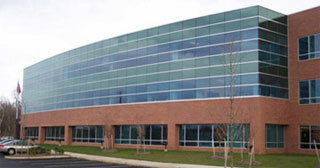 Services: The effort included design of all low voltage systems for their expansion in Rochester and relocation of their corporate administration Data Center equipment to the new facility from Stamford, Connecticut.